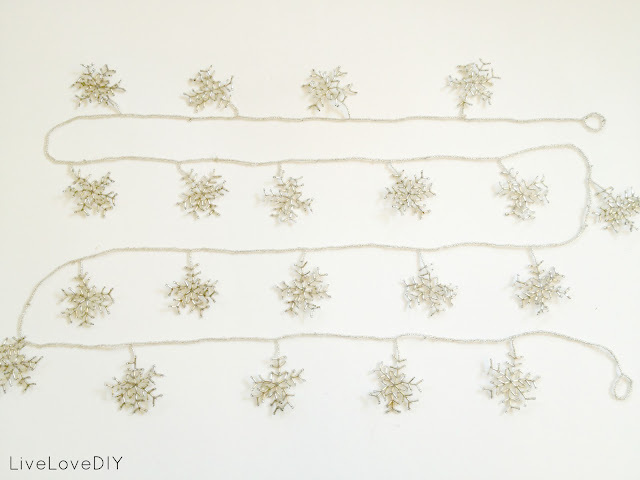 Yesterday I went to the craft store, got tons of beads, came home and spent the next 4 hours making snowflake garland. It wasn't very difficult, but I will admit that it took forever. After I finished, my fingers packed up their bags and moved away. I've loved beading since I was a teenager. I remember having an entire tackle box full of a million types of beads. 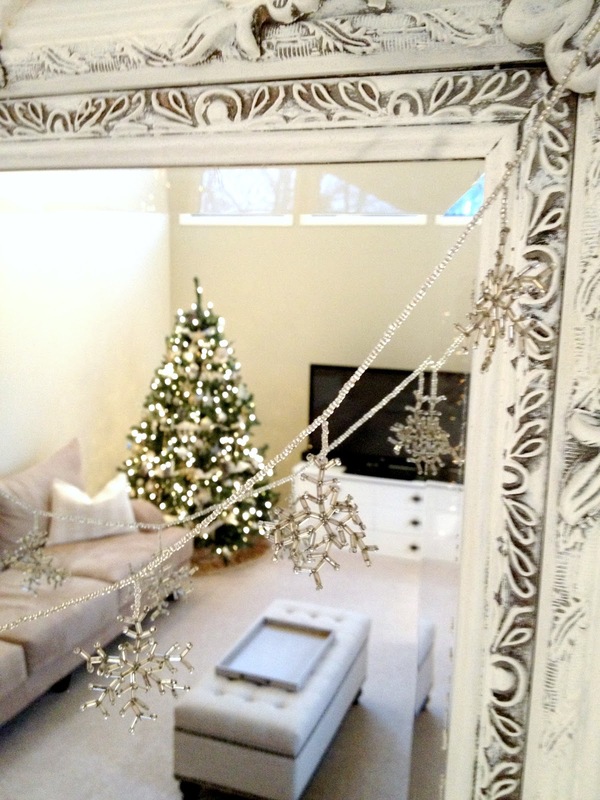 This snowflake garland was next level for me though. It was so tedious that I nearly gave up several times. 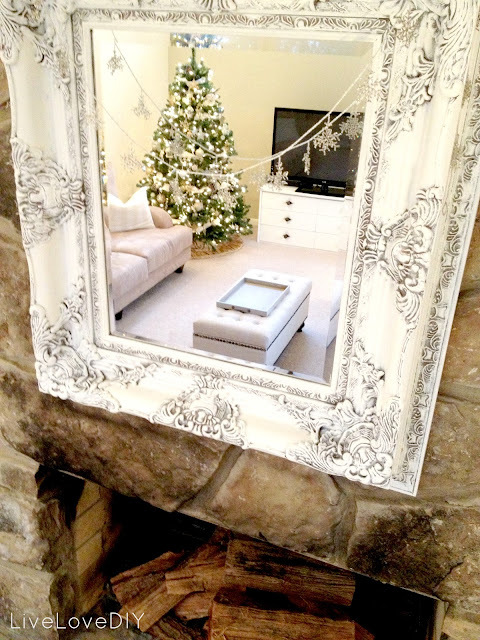 When I finally finished it, I hung it over the mirror that hangs above our fireplace. You won't believe what I eventually ended up doing to this fireplace. I love the way it reflects the lights of the Christmas tree and adds a little extra sparkle to the room! If you want to test your patience and make some snowflake garland, here is the tutorial I used. I followed their tutorial almost exactly except for a few minor changes. 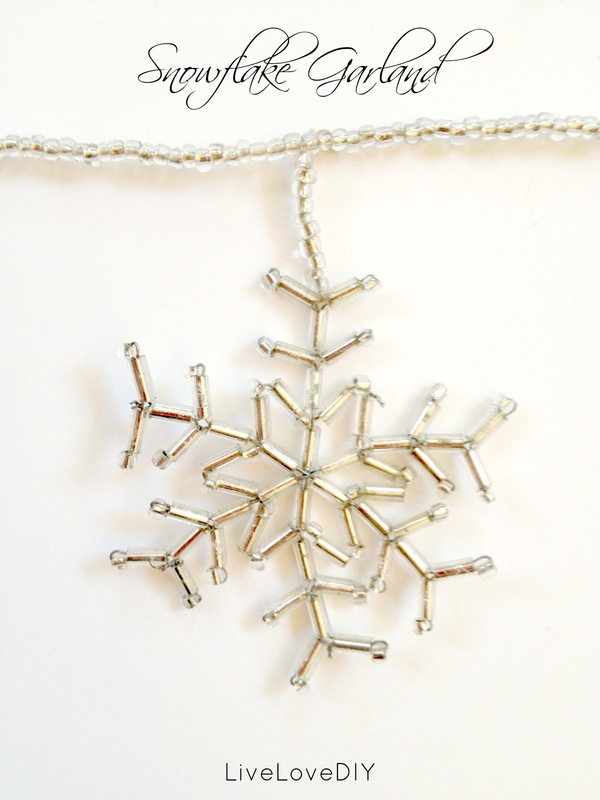 They say to use a wire snowflake form, but I just made my own using simple beading wire. I also put little hoops at the ends of my garland strands just in case I ever wanted to use it on my tree. My favorite Christmas project ever. EVER. Absolutely stunning! 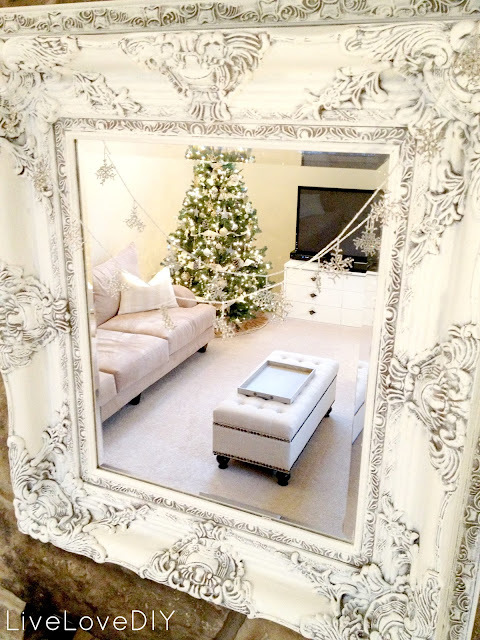 It is so pretty with the mirror, you did a beautiful job. I'm not sure I would have had your patience to complete that project! Oh my you are patient! It is just beautiful and gorgeous!!! Love the way it turned out!!! 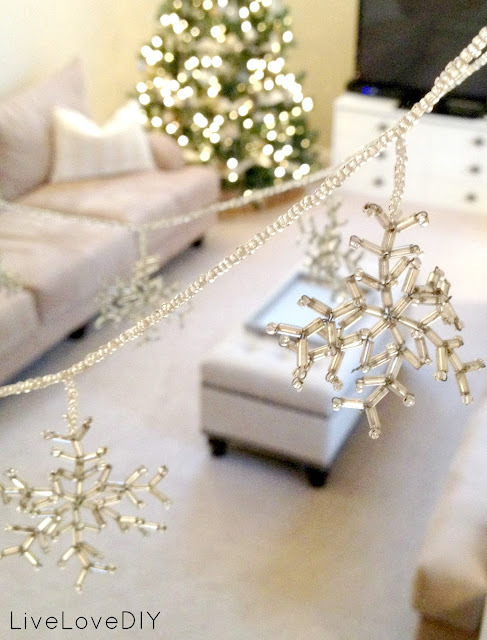 You have the patience of a saint but it sure paid off ... this garland is SOOOO awesome! Pinned! This is unbelievable. I am awestruck. Wow. Holy cow. You are one magically patient woman! I'm actually really impressed it only took you 4 hours! Um. Rocked Jesse's Craft world? Rocked all of ours! Wow to the tenth power, girl! Those are some beautiful snowflakes!!! These are gorgeous,Virginia. I might try this during the summer when I have more time. But I am curious how you made the wire frames. It doesn't look like you twisted them together. Did you glue them? Just pinned you. Do you realize how popular your posts are? And rightfully so. Congratulations. This is gorgeous! I'm going to make myself one of these! I made beaded snowflake ornaments for my kids, and I bought the forms at www.fusionbeads.com. They have several different sizes, and I love them! Oh Virginia - that is sooo pretty. Seriously, just beautiful! Thanks so much everyone!!!!! Ya'll are so super sweet! Virginia, I love your ornament. I'm trying to figure out how to make some without using snowflake forms. How did you go about doing it, connecting the head pins, without a protruding knot at the center?